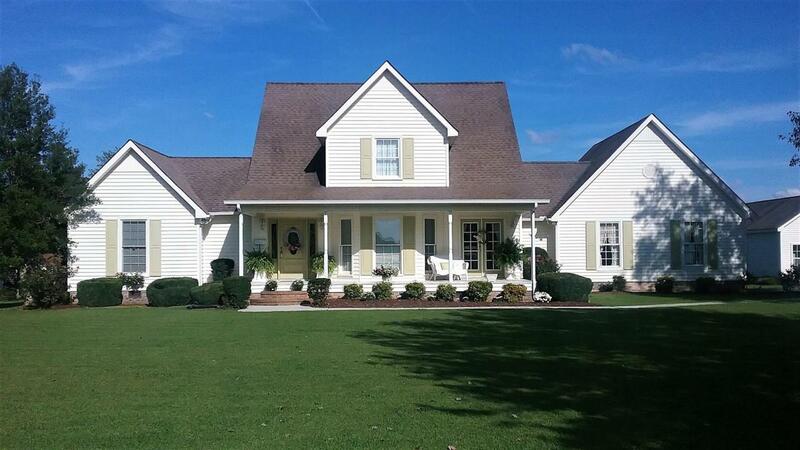 Farmhouse retreat, perfectly manicured property. Inviting, covered front porch. Large country kitchen. Beautiful hardwood flooring. Main level master. Detached 15X55 finished bldg, w/ HVAC and a 1/2 bath, perfect for a mother-in-law apt or business.